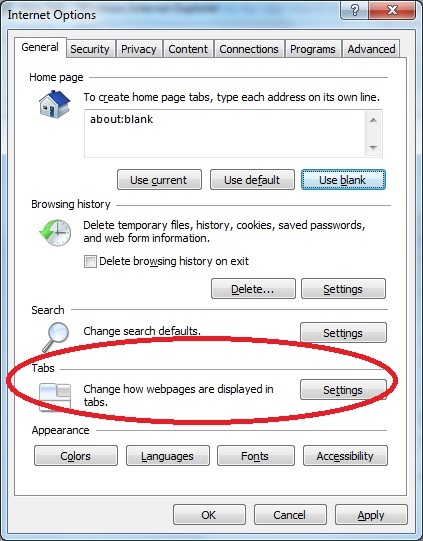 In Internet explorer 8, we can disable tabbed browsing as per the below steps. Click on ‘OK’ and ‘Apply’ buttons and close the windows. We can disable tabs by setting the below registry value. Under the above key, create a new value of type REG_DWORD with the name ‘Enabled‘ . Set the data of this new value to 0. Restart IE and you can see that tabbed browsing is disabled.